Give your friends goosebumps by wearing these freaky red scleral contact lenses covering your whole eyes. ColourVue Sclera Sunpyre 22mm contact lenses are surprisingly easy to handle and wear and you'll get used to them after a few minutes. 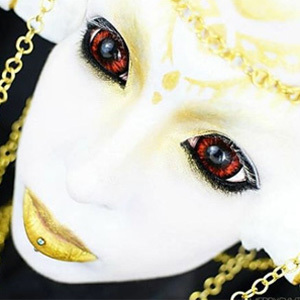 You don't need a costume with these horrific contact lenses in your eyes.